Today I LearnedToday I Learned is a feature where The Takeout writers share something they learned today. When you have backyard chickens, you make a lot of breakfast sandwiches. 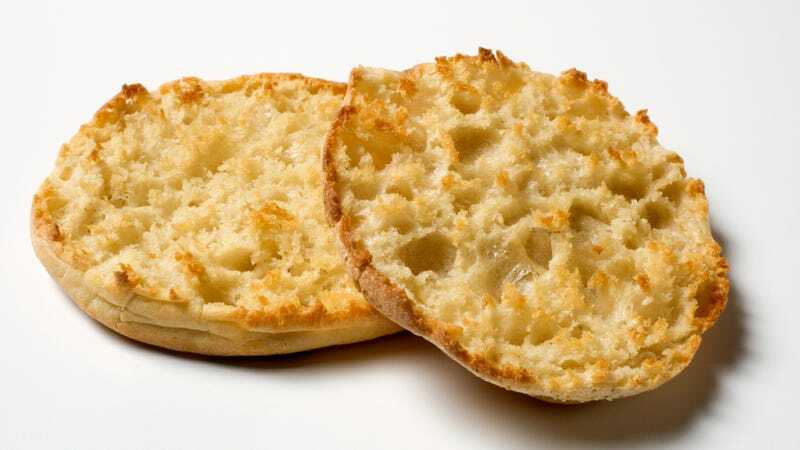 After years of slicing my English muffins with a knife like a mouth-breathing cretin, I recently learned that using a fork will drastically improve the texture of your toasted muffin. Here’s why: Fork-split muffins retain the peaks and valleys—nooks and crannies, in common parlance—that make the bread so satisfying. Slicing through the muffin with a knife flattens the beautiful carbohydrate geology into a flatter, less awesome plane. Apparently, Thomas’ brand has been trying to spread the word about this for years, demonstrating how to rotate the muffin in one hand while fork-stabbing into its center with the other. I’ve just been living in a cave, ignorant to proper muffin technique. No more. After toasting, I like to slap a pad of butter on top of one muffin half, then “close” the other muffin side on top of it. Heat radiating from the top and bottom, the butter melts faster than if you’d buttered the halves separately. How long should you keep milk past the carton&apos;s date? Ask The Salty Waitress: Is it wrong to expect my mega-rich friend to pay for dinner? Could you homebrew beer in an Instant Pot?